Since the release of the first positive displacement flowmeters to Japan market in 1949, OVAL has been developing and producing wide range of flowmeters, related products and system products. Applications of these products have been extended to various processes in the industries and the products earned high reliability from customers. Utilizing accumulated know-how as valuable corporate assets, OVAL will keep creating a variety of products and systems with “Fine Flow Management” as our core business, and open up new fields of business. Flow rate is the quantity of fluid that passes through a given section of a pipe per unit time. OVAL can offer a variety of flowmeters that can measure flowrate under various operating conditions. Most of OVAL flowmeters are developed by OVAL itself, enabling a quick response to the potential needs by combination with our sales and service networks throughout Japan. We can offer safe and secured flowmeters while maintaining Japan's No. 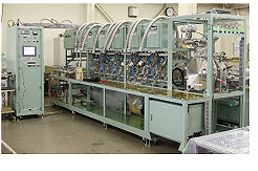 1 flowmeter calibration facilities. 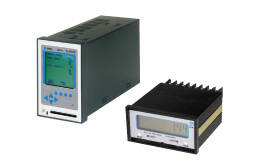 By monitoring the instantaneous flowrate and total flow in a place away from the flowmeter and by connecting the flowmeter with a valve, you can configure a batch system capable of measuring a specific quantity of fluid. In addition, flowmeters capable of flowrate conversion such as scaling, frequency division, F/I conversion by receiving the flow signal from a flowmeter or capable of calculating flowrate and density at a reference temperature and pressure by receiving a signal from thermometer, pressure gauge, and densitymeter as well as flowrate are available. 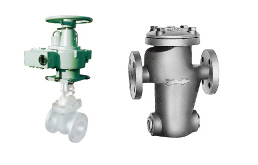 We offer strainers, flow-straighteners, air eliminators and other auxiliary instruments which required to keep the performance of flowmeter as well as fluid-related products such as a small actuator that can convert a manual valve into automatic type. Based on the made-to-order system, we offer system instruments meeting customer requirements including auto parts testing equipment mainly used for measuring flowrate and high-accuracy gas measuring system utilizing sophisticated technologies certified by JCSS.